Hotspots are a relatively common problem with infrared. It manifests itself as a blurry bright spot in the center of the image. This phenomenon is due to internal reflection of light inside a lens. Normal lenses have coated barrels to absorb light, but these coatings don’t always work in infrared, causing these problems. The best way to avoid this issue is to use a lens that is not prone to hotspots. For DSLR shooting, we have a great database here of which lenses have problems and which ones do not. 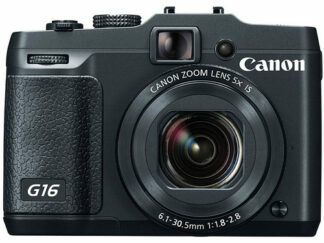 We also have some reviews here for fixed lens cameras. If you must use a lens that is prone to hotspots, there are some simple workarounds you can use to reduce hotspots. Most lenses do not form a hotspot at all apertures, they are usually more prevelant at smaller apertures. The hotspot can often be eliminated just by changing the aperture. It is important to test out your lens over the full aperture range to see if it is prone to a hotspot, and if so what apertures you should avoid. This might not be effective on lenses with very severe hotspots, or for cameras that do not allow aperture control. In this case, hotspots can usually be avoided by shooting away from bright sources of light. Hotspots occur most often in the same type of shooting angles that cause lens flare. On another note, lens flare also tends to be more pronounced with infrared, due the flare reducing coatings on lens optics not working as well in infrared. In addition to the hotspot issues above, lenses can also suffer from not being designed for infrared. Glass has a different refractive index for infrared than it does for visible light, and since lenses are designed with only visible light in mind, this can cause infrared light to bend in a way it was not intended to when it is passing through the glass elements. This can cause distortion, a shift in the focal plane, or both. The distortion effect is an issue mostly for ultra wide angle lenses, who’s many glass elements don’t leave much room for error, and the different refraction of infrared light can cause some distortion as well as reduced focus around the edges. Other lenses are much more forgiving in terms of distortion, and the more common issue is a shift in the focal plane. Some older lenses used to account for this by providing an IR focus mark on the lens. In our conversions, we use filters with specific thicknesses to account for this change, and further fine tune the autofocus system. Unfortunately, the amount that focus shifts in a lens is not always constant between lenses, and on some lenses the autofocus is poor unless it is calibrated specifically to that lens. Again, ultra wide angle lenses suffer the most with this issue. Some newer cameras allow you to store custom focus information for individual lenses; this feature can be used to overcome the differential focus shift between lenses. This focus shift issue does not affect compact cameras and live view focusing, which focus with the imaging sensor directly. On converted cameras, the exposure meters still work based on visible light. This can occasionally cause some under or over exposure because the visible and infrared light of a scene may not be the same. This is particularly relevant for indoor shooting, where fluorescent or LED bulbs emit practically no infrared light. In this type of shooting, to you and the camera the scene may appear lit, but the image will come out dark. The good news is that outdoor conditions are much more consistent, with about the same infrared and visible light available, allowing 720nm converted camera will expose accurately. 590nm and 665nm conversions have more total light reaching the sensor, and may overexpose without EV compensation. 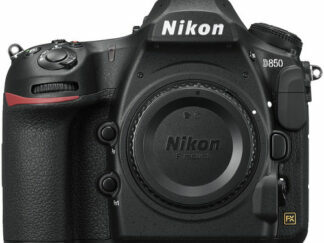 Likewise, 800 and 850nm filters have less total light reaching the sensor, and may underexpose without EV compensation. Some photographers are surprised to learn that a lens is not as sharp at either very small or large apertures, but somewhere in between. With many good lenses, this reduced sharpness at small and large apertures is not as noticeable, however with infrared the effect becomes more prominent. Many photographers who try shooting infrared for the first time aren’t aware of this fact and get soft images. 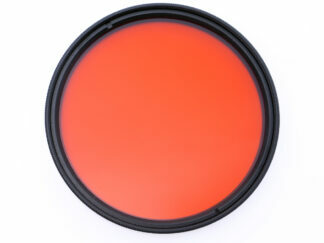 The color infrared filters, 590nm, 665nm, and 720nm are able to produce false color infrared. This is due to some visible light still being picked up by the camera, and the fact that infrared in the 720nm range registers mostly on the red pixels on the sensor, causing variable data in the red and blue channels and allowing for post processing to produce blue skies. This process is highly dependent on setting a custom white balance. Cameras without a custom white balance option can still be used well with the 720nm filter for color, but are not very effective with the 590nm and 665nm filters. Cameras that can set a custom white balance may sometimes struggle to read a white balance with these filters. In those cases, this can be overcame by shooting in RAW and setting the white balance later, or by setting a white balance to a custom K temperature. The deep 850nm filter is called the “black and white” filters, because it produces virtually monochrome images. Unlike the color infrared filters, infrared light in these wavelengths registers on the red, green, and blue pixels fairly evenly, producing a monochrome image. However, while the image is monochrome, it does not necessarily come out as black and white due to the way the camera handles white balances. It is often necessary to still set a custom white balance to ensure that images come out black and white rather than blue or red hued. Alternately, the camera can be set record only black and white.